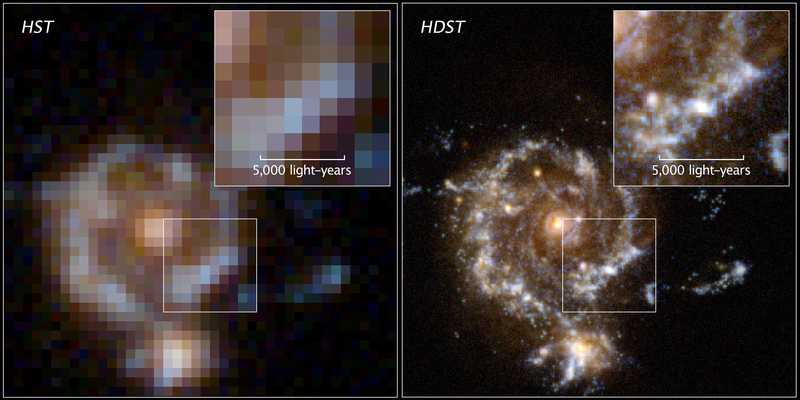 High-Definition Space Telescope: Our Giant Glimpse of the Future? Where do you see yourself in a decade? What is your vision for two decades from now? What could you accomplish if you had billions of dollars and infrastructure at your disposal? A consortium of astrophysicists attempt to answer these questions as they put forward their bold proposal for a giant high-resolution telescope for the next generation, which would observe numerous exoplanets, stars, galaxies and the distant universe in stunning detail. The Association of Universities for Research in Astronomy (AURA), an influential organization of astronomers from 39 mostly US-based institutions, which operates telescopes and observatories for NASA and the National Science Foundation, lays out its vision of High-Definition Space Telescope (HDST) in a new report this month. Julianne Dalcanton of the University of Washington and Sara Seager of the Massachusetts Institute of Technology—veteran astronomers with impressive knowledge and experience with galactic and planetary science—led the committee who researched and wrote the 172-page report. As the HDST’s name suggests, its wide segmented mirror would give it much much higher resolution than any current or upcoming telescopes, allowing astronomers to focus on exoplanets up to 100 light-years away, resolve stars even in the Andromeda Galaxy, and image faraway galaxies dating back 10 billion years of cosmic time into our universe’s past. In the more recent past, the popular and outstandingly successful Hubble Space Telescope celebrated its 25th birthday a few months ago. Astronomers utilized Hubble and its instruments over the years to obtain the now iconic images of the Crab Nebula, the Sombrero Galaxy, the Ultra Deep Field, and many many others that captured the public imagination. Hubble continues to merrily float by in low-earth orbit and enables cutting-edge science. But the telescope required 20 years of planning, technological development, and budget allocations before it was launched in 1990. 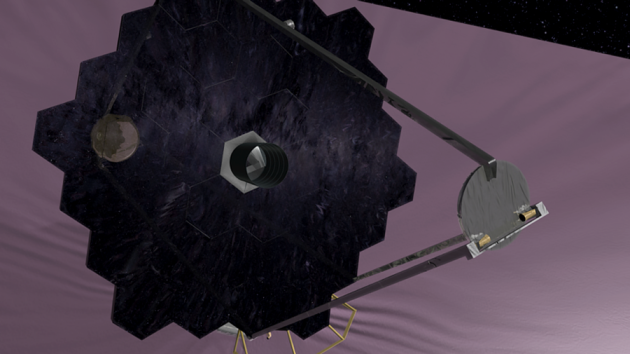 For the newly proposed space telescope, some headlines describe it as NASA’s successor to Hubble, but it really constitutes a successor to a successor of Hubble, with other telescopes in between (such as the Wide-Field InfraRed Survey Telescope, WFIRST). If the astronomical community comes on board and if astronomers convince NASA and Congressional committees to fund it—two big “ifs” for big projects like this—it likely would be designed and constructed in the 2020s and then launched in the 2030s. The James Webb Space Telescope (JWST), proposed two decades ago by AURA and now finally reaching fruition and set for launching in 2018, could be considered the HDST’s predecessor. All of these major projects require many years of planning and research; Rome wasn’t built in a day, as they say. James Webb scientists and engineers hope that, like Hubble, it will produce spectacular images with its infrared cameras, become a household name, and expand our understanding of the universe. Nevertheless, JWST has been plagued by a ballooning budget and numerous delays, and Congress nearly terminated it in 2011. When a few large-scale programs cost so many billions of dollars and years to develop, how do people weigh them against many smaller-scale ones that sometimes get sacrificed? Approximately every ten years, members of the astronomical community get together and determine their set of priorities for the next decade, balancing large-, medium- and small-scale programs and ground- and space-based telescopes, given the budget realities and outlook. Back in 2001, they prioritized James Webb, and then a decade later they put WFIRST at the top of the list. For the next generation though, in the 2010 Decadal Survey (named “New Worlds, New Horizons”), they highlighted the need for a habitable (exo)planet imaging mission. Everyone loves planets, even dwarf planets, as revealed by the popularity of NASA’s missions exploring Pluto and Ceres this year. Building on that report, NASA’s 2014 Astrophysics Roadmap (named “Enduring Quests, Daring Visons”) argued that much could be gained from a UV/optical/infrared surveyor with improved resolution, which could probe stars and galaxies with more precision than ever before. According to the AURA committee, the High-Definition Space Telescope would achieve both of these goals, taking planetary, stellar and galactic astronomy to the next level. Importantly, they also argued that astronomers should prioritize the telescope in the 2020 Decadal Survey, for which planning has already commenced. How do scientists balance the need for different kinds and sizes of projects and missions, knowing that every good idea can’t be funded? Astronomers frequently disagree about how to best allocate funding—hence the need for periodic surveys of the community. They hope that what is best for science and the public will emerge, even if some scientists’ favorite projects ultimately aren’t successful. James Webb Space Telescope’s budget has been set to $8 billion, while the High-Definition Space Telescope would cost $10 billion or more, according to Alan Dressler of the Carnegie Observatories. This is big money, but it’s small compared to the cost of bank bailouts and military expenditures, for example. While the scientific community assesses which programs to focus on, we as a society need to determine our own priorities and how space exploration, astrophysics research as well as education and outreach are important to us. In the meantime, HDST scientists will continue to make their case, including in an upcoming event at the SPIE Optics & Photonics conference in San Diego, which I will try to attend. Scientists and journalists alike frequently talk about Big Science these days. The recently published and much reviewed book by Michael Hiltzik about the physicist Ernest Lawrence describes its history since the Manhattan Project and the advent of ever-bigger particle accelerators. Big Science is here to stay and we clearly have much to gain from it. Only some Big Science ideas can be prioritized and successfully make the most of the effort and investment people put in them. Hubble exceeded all expectations; the High-Definition Space Telescope has astronomical shoes to fill.